Individual concert tickets for The Cleveland Orchestra’s 2019 Blossom Music Festival season presented by The J.M. Smucker Company and Summers@Severance season sponsored by Thompson Hine LLP go on sale Monday, April 15 at 9:00 a.m., online at clevelandorchestra.com, by telephone (216-231-1111), and in person at the Severance Hall Ticket Office. Twenty concerts will be part of the Blossom Music Festival, taking place from the weekend prior to the Fourth of July through Labor Day weekend (June 29 – September 1). This summer, discover rising stars, experience living legends, and welcome back returning friends. Seventeen soloists, conductors, and special guest performers will be making debuts this summer, continuing the Orchestra’s commitment to bring emerging young artists to Northeast Ohio during its annual summer festival. In addition to these sensational newcomers, Blossom audience favorites join music legends in thrilling performances on the festival stage. Rising jazz superstar pianist Aaron Diehlreturns to the Blossom stage for an original take on Gershwin’s ever-popular “Rhapsody in Blue.” Praised by The New York Timesfor “melodic precision, harmonic erudition, and elegant restraint,” Diehl has performed with jazz greats Wynton Marsalis and Cécile McLorin Salvant. (July 5 & 6). Young Finnish conductor and newly-appointed Chief Conductor of the Oslo Philharmonic Klaus Mäkelä makes his Cleveland Orchestra debut leading a program that includes Bruch’s melodic Violin Concerto No. 1, featuring another debut — 17-year-old Swedish violin prodigy Daniel Lozakovich(July 20). Legendary classical guitarist Pepe Romerowill perform with The Cleveland Orchestra for the first time in over 50 years with Rodrigo’s colorful Concierto de Aranjuez for Guitar and Orchestra (July 21). Brian Wilson, songwriter and co-founder ofThe Beach Boys, along with long-time bandmates Al Jardineand Blondie Chaplin join the Blossom Festival Orchestra to perform the classic album Pet Sounds in its entirety, along with other chart-topping hits (August 11). Peter Yarrowand Noel “Paul” Stookey— singer-songwriters from the influential American folk group Peter, Paul and Mary — join The Cleveland Orchestra to perform some of the group’s most beloved songs (July 7). In addition to the artists onstage, the programming this summer offers audiences a wide range of music to explore. Concert selections range from treasured classical works — such as Elgar’s Enigma Variations, Beethoven’s Piano Concerto No. 5 (“Emperor”), and Brahms’s Symphony No. 1 — to rarely-heard music for Blossom audiences to discover—including Zemlinksy’s Die Seejungfrau [The Mermaid], based on the Hans Christian Andersen classic The Little Mermaid. These highlights join the previously announced films included on the 2019 season, Harry Potter and The Sorcerer’s StoneTM(June 29 & 30) and Star Wars: The Empire Strikes BackTM (August 30-31, September 1). Individual tickets for select dates of these film presentations are on sale now. For more information about the 2019 Blossom Music Festival season and to see the complete concert calendar, visit this link:https://www.clevelandorchestra.com/News-and-Updates/News-Releases/2019-releases/2019-02-17-2019-blossommusicfestival-announced/. Please note that the August 24 program has been updated. Rodgers and Hammerstein’s South Pacific will now be performed in place of the previously announced program of The Sound of Music. All announced artists remain the same. Image Magnification (IMAG) will return for the 2019 Blossom Music Festival season for all concerts (excluding film screenings). In 2018, new, state-of-the-art, LED screens were installed in the Pavilion of Blossom Music Center. These screens are used for concerts of film scores (with the film shown on screen) and for Image Magnification (IMAG), displaying live footage from the concert onto the screens, giving audience members the opportunity to clearly see the musicians onstage. The Orchestra will partner with ideastream® — a non-profit multiple media public service organization that operates WVIZ/PBS, 90.3 WCPN, and WCLV 104.9 — to produce the IMAG feed for several of these concerts. For more information about ideastream, visit ideastream.org. As part of an ongoing effort to bring more great music to University Circle in the summer, this year’s Summers@Severance series will, for the first time, include four concerts plus a special add-on presentation. These summer concert experiences boast the best that Severance Hall has to offer, inside and out. 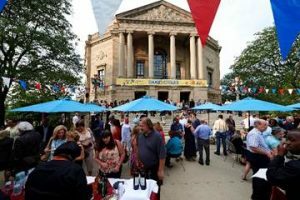 Not only will guests enjoy the perfect evening of music in one of the world’s most beautiful concert halls, they’ll also be invited onto the picturesque Front Terrace of Severance Hall to relax under the summer sky with great drinks and great company, pre- and post-concert. The Front Terrace of Severance Hall will be open before and after each concert, with beverage/food service and seating areas. Plus, special “happy hour” drink prices will be offered in the hour prior to each concert, with guests encouraged to arrive early and enjoy the outdoors. For details about the programs offered for the Summers@Severance series, visit this link: https://www.clevelandorchestra.com/News-and-Updates/News-Releases/2019-releases/2019-02-17-2019-summersatseverance-announcement/. Please note that the July 12 program has been updated. In place of the previously announced Prokofiev Symphony No. 6, Beethoven’s String Quartet No. 15 for string orchestra will be performed. Pavilion ticket prices start at $25 for adults and $15 for students and children. Individual lawn tickets start at $25. Two Under 18s Free lawn tickets are available for every one adult lawn ticket purchased. Individual concert tickets for Harry Potter and The Sorcerer’s StoneTM and select dates of Star Wars: The Empire Strikes BackTM are on sale now by telephone, in person at the Severance Hall Ticket Office, and online at clevelandorchestra.com. Individual concert tickets for the full Blossom Music Festival season go on sale on April 15. The Blossom Box Office opens for the season beginning on Saturday, June 1, and will be open throughout the summer on Saturdays and Sundays from 1:00 p.m. to 5:00 p.m. and from 1:00 p.m. through intermission on festival performance days. The 2019 Blossom Music Festival features two four-concert “Classics” subscription series and a five-concert “Pops” subscription series. Ticket packages, on sale now, offer approximately 20% savings off individual-ticket prices. Ticket package prices start at $80, which includes free Lot B parking and access to Kulas Plaza. Box-seat ticket packages include complimentary parking in First Energy Lot A behind the main Box Office in addition to access to Kulas Plaza’s dedicated restrooms and beverage services. Under 18s Free is a program of The Cleveland Orchestra’s Center for Future Audiences. The Center, created with a lead endowment gift from the Maltz Family Foundation, was established to fund programs to develop new generations of audiences for Cleveland Orchestra concerts in Northeast Ohio. Under 18s Free continues to develop young audiences by making attending Orchestra concerts affordable for families, once again offering free Lawn tickets to young people (17 and under) for every Blossom Music Festival concert this season. Over 150,000 young people have attended Blossom Music Festival concerts since the Center for Future Audiences was inaugurated. At Blossom, this program offers free Under 18s Free Lawn Passes (two youth tickets per regular-priced adult paid admission) to young people to any Blossom Music Festival subscription concert each summer. These tickets can be ordered online or through the Ticket Office. Under 18s Free tickets are also available as part of Lawn Book purchases (see above for more details). 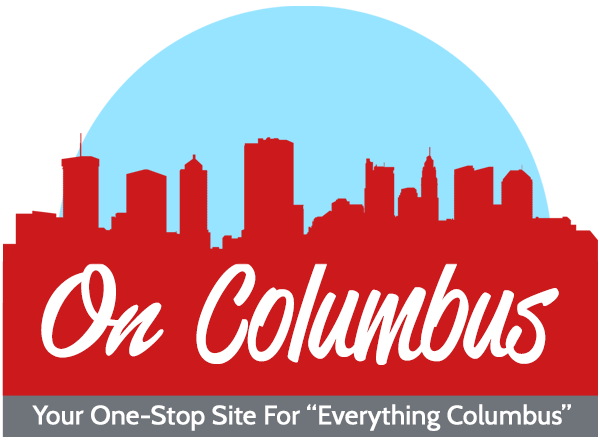 The Cleveland Orchestra is proud to partner with The J.M. Smucker Company as the Presenting Sponsor of the 2019 Blossom Music Festival. The J.M. Smucker Company has supported The Cleveland Orchestra for decades with annual contributions as well as capital gifts for improvements at Blossom Music Center. The company’s ongoing, remarkable support has been recognized through concert sponsorship at Blossom for over a decade, and has earned membership in the Orchestra’s John L. Severance Society — a group of the Orchestra’s most dedicated and generous corporate, foundation, and individual supporters. Additionally, The J.M. Smucker Company was a co-presenting sponsor of The Cleveland Orchestra’s Second Century Celebration, bringing the Orchestra’s 100thseason to life while animating a bold vision for an extraordinary Second Century. Cleveland Orchestra Board Chair Richard K. Smucker is the Executive Chairman of The J.M. Smucker Company, which was founded more than a century ago by Mr. Smucker’s great-grandfather, Jerome Smucker. Today, The J.M. Smucker Company is a leading marketer and manufacturer of consumer food and beverage products, as well as pet food and pet snacks, in North America. The company remains rooted in the Basic Beliefs of Quality, People, Ethics, Growth, and Independence established by its founder and namesake more than 120 years ago. ideastream serves the people of Northeast Ohio as a trusted and dynamic multimedia source for illuminating the world around us. Publicly supported and locally owned, ideastream is indispensable and highly valued for its unique ability to strengthen our community. ideastream is the consolidation of WVIZ/PBS, with five channels of public television service (WVIZ/PBS-HD, WVIZ/PBS OHIO, WVIZ/PBS WORLD, WVIZ/PBS CREATE and WVIZ/PBS KIDS); 90.3 WCPN, Northeast Ohio’s NPR news and public affairs radio station; WCLV 104.9, Northeast Ohio’s classical music radio station; ideastream Education, with educational resources, services and the award-winning children’s series NewsDepth; and management of The Ohio Channel and the Ohio Public Radio and Television Statehouse News Bureau on behalf of all Ohio’s public broadcasting stations. For more information about ideastream’s rich legacy of innovation and credible content, visit ideastream.org. Deep gratitude goes to the entire Northeast Ohio community, The J.M. Smucker Company, The Goodyear Tire & Rubber Company, and all of our sponsors, whose incredible support, dedication, and generosity makes possible these magical evenings at The Cleveland Orchestra’s beautiful summer home. 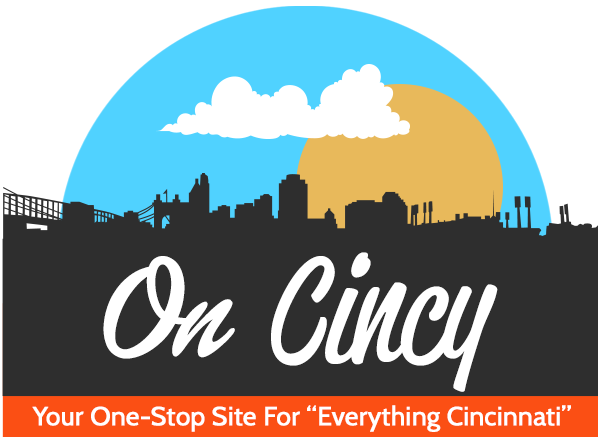 Full details of the 2019 Blossom Music Festival season and 2019 Summers@Severance season — including Festival and Cleveland Orchestra soloist and conductor debuts —are available online at clevelandorchestra.com. Blossom Music Center was created as the summer home of The Cleveland Orchestra and opened in July 1968 with performances of Beethoven’s Ninth Symphony conducted by George Szell. The 200-acre music park features the award-winning and acoustically-acclaimed Blossom Pavilion, designed by renowned Cleveland architect Peter van Dijk and seating over 5,000 under cover. The adjoining Blossom Lawn accommodates as many as 15,000 more outside on an expansive natural-bowl amphitheater of grass surrounded by bucolic woods. In the half-century since Blossom’s opening, headline makers and yet-to-be-discovered young artists across all genres have created unforgettable musical experiences for over 21 million visitors. Each summer, Blossom serves more than 400,000 visitors, who attend concerts ranging from rock, country, and pop to classical. 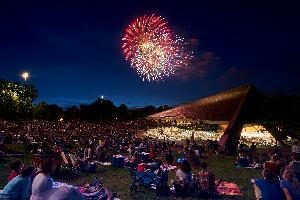 Live Nation operates Blossom under a long-term contract with The Cleveland Orchestra, dividing each year between the Orchestra’s Blossom Music Festival of orchestral performances (July Fourth to Labor Day weekends) and a series of presentations from across a wide range of rock, country, and other live-concert genres.